Finally, the perfect mounting point for off-road action! 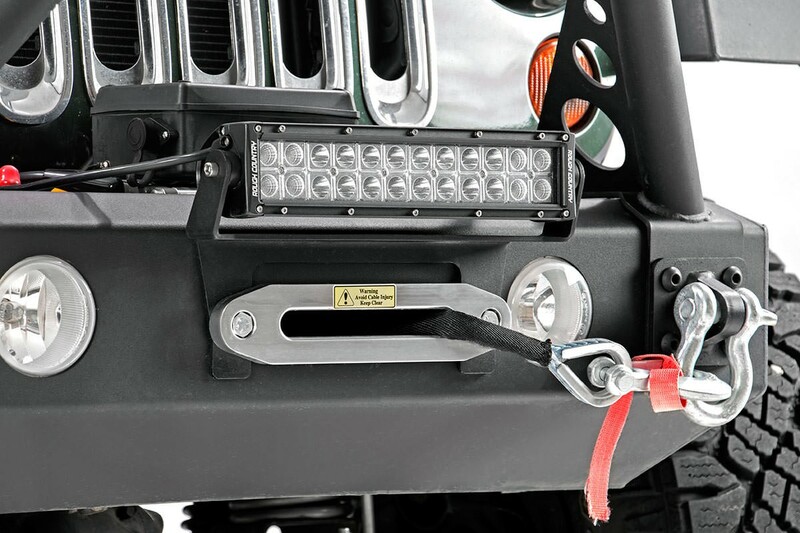 Rough Country's new Hawse Fairlead LED Light Bar Bracket is the perfect mounting solution for affixing your 12-inch Dual or Single-row LED Light Bar to any standard sized winch hawse fairlead. 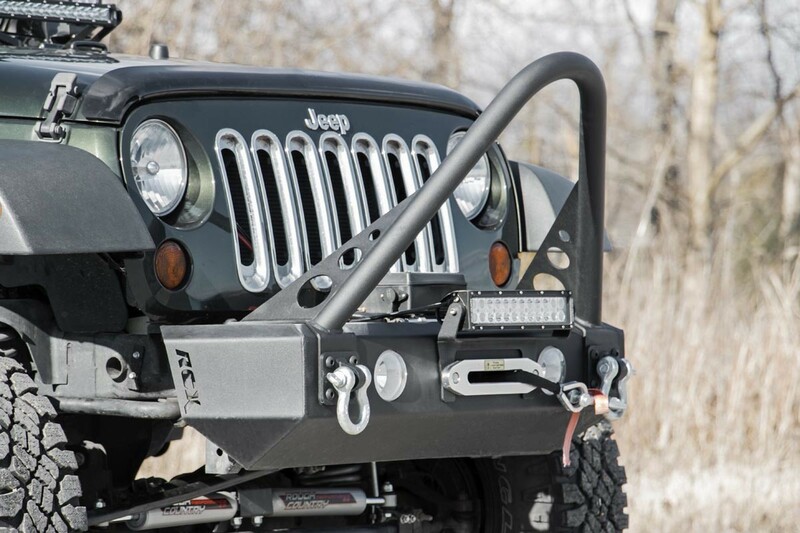 This mounting point centers your LED in front of your winch's solenoid box, giving your vehicle a more rugged, industrial profile. Also, by adding a mounting point centered and low to the ground, you give your vehicle an incredible opportunity for illuminating approach angles or providing practical lighting in recovery situations. Does NOT fit roller fairleads - please use part# 70128.